A Quick Look: Flip Flop Hostel was looking for a PMS that would help customize as per its hostel's needs which are very different from a hotel's requirements. Also, they were previously using a PMS that did not allow integration with SiteMinder. After considering multiple systems, they found Hotelogix’s solution to be perfect as it allowed them bed-based management, offered SiteMinder channel manager and helped save 10% on OTA commissions every month using the web booking engine. 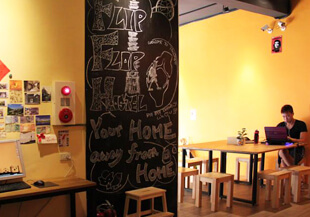 Flip Flop Hostel is located only 5 minutes away from the heart of Taipei, the Taipei Main Station. 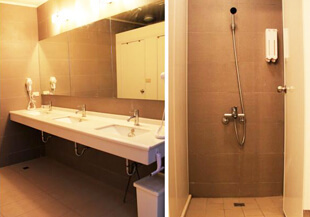 The hostel has won the ‘Best Hostel in Taiwan 2013’ award by hostelworld.com. Flip Flop, being a hostel, wanted a bed-based management system instead of a room-based one that many property management systems offered. They found Hotelogix’s solution for hostels to be perfect as it allowed them to customize the Front desk and all operations according to a hostel’s needs and let them manage as per beds. Also, they were previously using a property management system which did not allow integration with SiteMinder for their channel management. This led to limitations in marketing their online room inventory. Hotelogix, being the first premium cloud based PMS to have gone live with SiteMinder became the natural choice for Flip Flop Hostel. The hostel also has limited staff members, i.e. 3 people, so they required a PMS which would be easy to use and manage, with zero or minimal training period. Mr. Dabin Wu, Co-Founder of Flip Flop Hostel considered multiple systems before zeroing in on Hotelogix. The main reason for choosing Hotelogix was the 24/7 support provided along with the user-friendliness of the interface, which was better than the others. The hostel was also in the process of developing a travel desk and café and was pleased with the Point of Sale integration that Hotelogix PMS provided. Dabin says,"Our old PMS had limited functions and was unable to integrate with channel manager, so we were seeking a new solution to meet our requirements. Hotelogix was one of the systems we shortlisted and it turned out to be beyond our expectations because of its reasonable fare, 24/7 live support, user-friendly interface, integration with channel manager, fully customized settings and web booking engine." Hotelogix offered an extremely easy-to-use interface that could be adapted by the staff with minimal training. It also provided 24/7 support and live chat to solve any queries. With a host of features to improve the hostel’s daily operations and maximize online room inventory, it became the PMS of choice for Flip Flop Hostel. 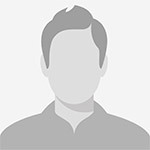 “The various reports generated by Hotelogix PMS are way better than other PMS providers which helps us a lot in analyzing and enhancing our operations. Just give it a try, you’ll know how Hotelogix can help you save time and boost your business,” elaborates Dabin. Flip Flop Hostel found Hotelogix to be the perfect combination of high quality, reasonable price and simplicity of use. When their staff was using the older system, there was a lot of time wasted as manual efforts were required. After implementing Hotelogix, it has freed up staff time by 1-2 hours per member per day, which is better utilized to improve guest experience. The housekeeping module and night audit feature of the PMS have also helped the hostel reduce efforts and errors.